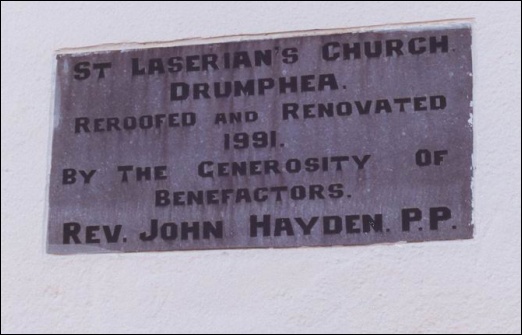 The present church at Drumphea was built in 1810 on the foundations of an earlier church which is believed to have resembled St. Finian’s Church, Myshall. This church (as well as that in Myshall) was presented with a chalice in 1397 by the mother of Roger Mortimer, heir apparent to the throne of England. 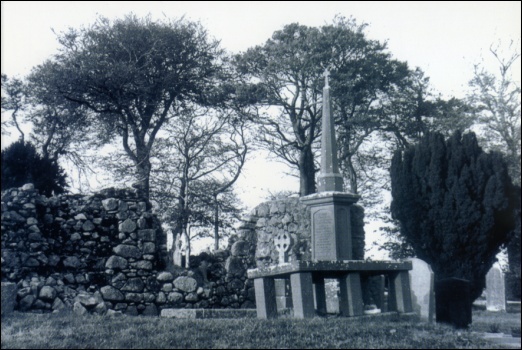 Roger was killed in the Battle of Kellistown that same year and the chalices were given for the return of his body. The belfry was built in 1900 and the grotto to Our Lady was erected in 1954. 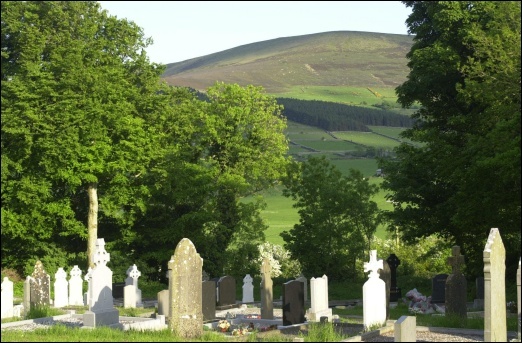 The graveyard in Drumphea was bequeathed by the Earl of Bessborough for the use and benefit of the tenants of his estate free gratis. Drumphea is the second Roman Catholic Church in Myshall parish. 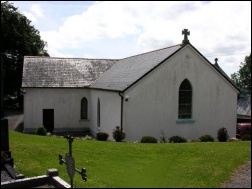 Its burial ground located on the grounds of the church date back pre 1798 A.D. The ruins of the previous church still stand in the centre of the cemetery. The present church was built in 1810 A.D. and was renovated in 1991. Among the many buried in the cemetery are the remains of Captain James Nolan, a local leader of the United Irishmen who fought in 1798. He died on April 21st 1837 aged 112 years. 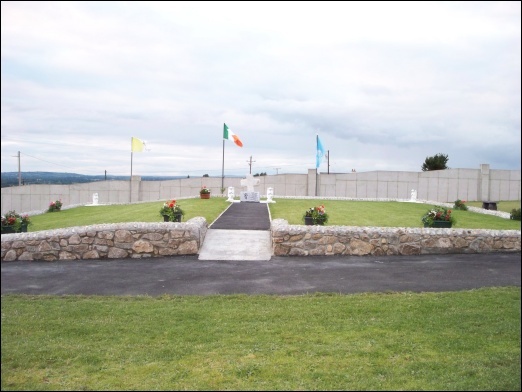 His burial place was renovated in 1998 by the Myshall 1798 Committee. The Church bell was given to the Church by the Nolan family of Garryhill who were agents for English landlords at the time. 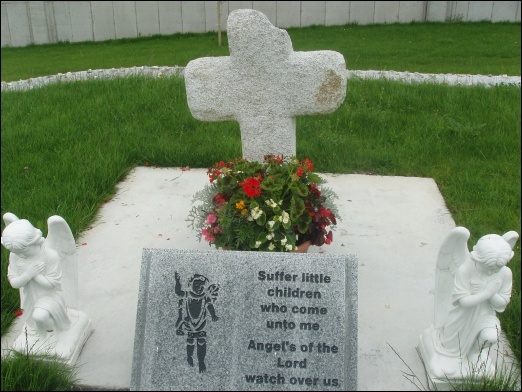 Outside the original cemetery lay a granite cross to mark the site of the burial ground of many unbaptised infants who died at birth or were still born. 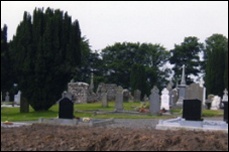 In 2003 a cemetery committee was formed to maintain the cemetery and one of its first tasks was to acquire additional land for burial ground and it was decided by the committee to approach the owner of land on which the children’s burial plot was located and to amalgamate it into the present cemetery. The land was acquired for the parish and the committee raised the funds to develop the site. It was decided to enclose the children’s plot and to erect a suitable monument on the site. Where possible all work is done on a voluntary basis as funding for this development is depending entirely on voluntary donations and help from a number of local businesses. 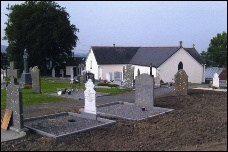 The cemetery was entered in the Pride of Place and in the Carlow County Council Burial Maintenance and Award Scheme.